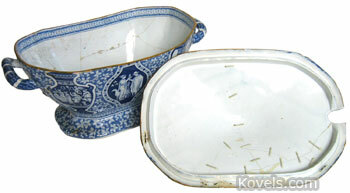 Chelsea porcelain was made in the Chelsea area of London from about 1745 to 1769. Some pieces made from 1770 to 1784 are called Chelsea Derby and may include the letter D for Derby in the mark. 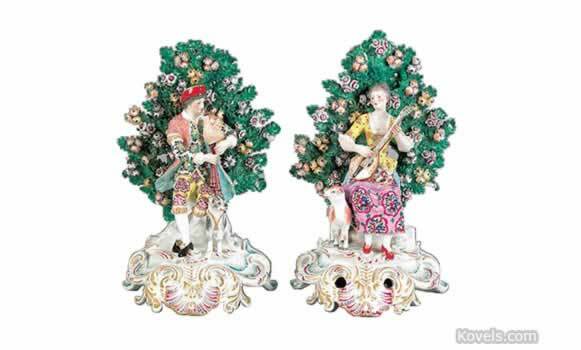 Ceramic designs were borrowed from the Meissen models of the day. 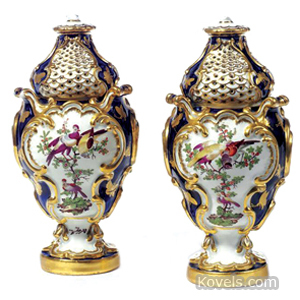 Chelsea porcelain also borrowed designs from Sevres. Pieces were made of soft paste. The gold anchor was used as the mark but it has been copied by many other factories. Recent copies of Chelsea have been made from the original molds. 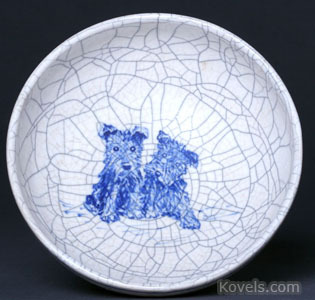 Do not confuse Chelsea porcelain with Chelsea Grape, a white pottery with luster grape decoration. Chelsea Keramic is listed in the Dedham category.